Hand-wound aged humbucker Fender space reverse polarity with cover. The pursuit is over. 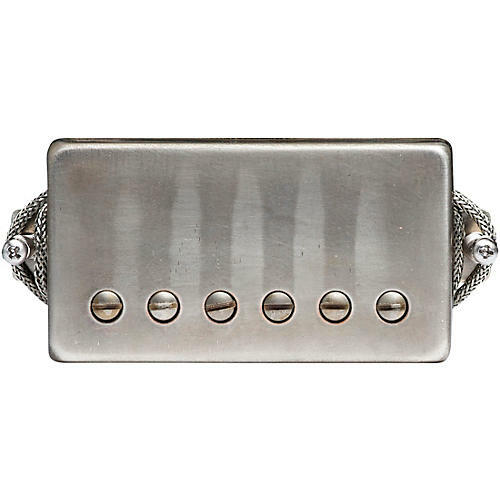 Raw Vintage USA Aged PAF pickups are the perfect solution to restoring your guitar to vintage specs. Raw Vintage PAF Humbuckers include period correct plain enamel copper wire and custom Alnico magnets. All pickups are hand-wound in the USA to deliver a super wide tonal range with pristine highs, punchy bottom end and distinct clarity with every note. The Raw Vintage pickups contribute to a full "open" sound and tightness with a sweet spanky high end, firm lows, and mids with a great complexity and a punchy attack. The RV-PAF pickups are carefully hand-wound at the Los Angeles shop. Upgrade you guitar with the right pickups. Order today.